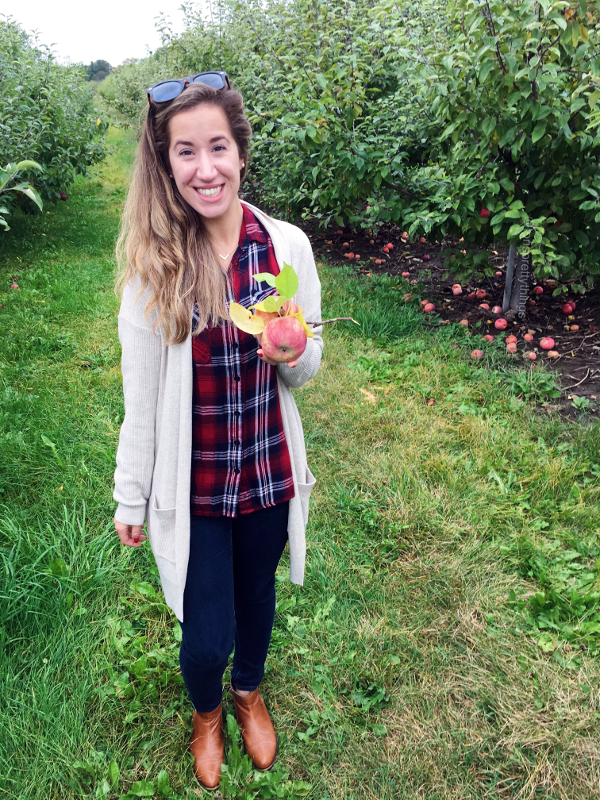 Tori's Pretty Things: This Week's Pretty Outfits - Cozy Layers, Anyone? It's another Fall week, friends, and I couldn't be more excited! 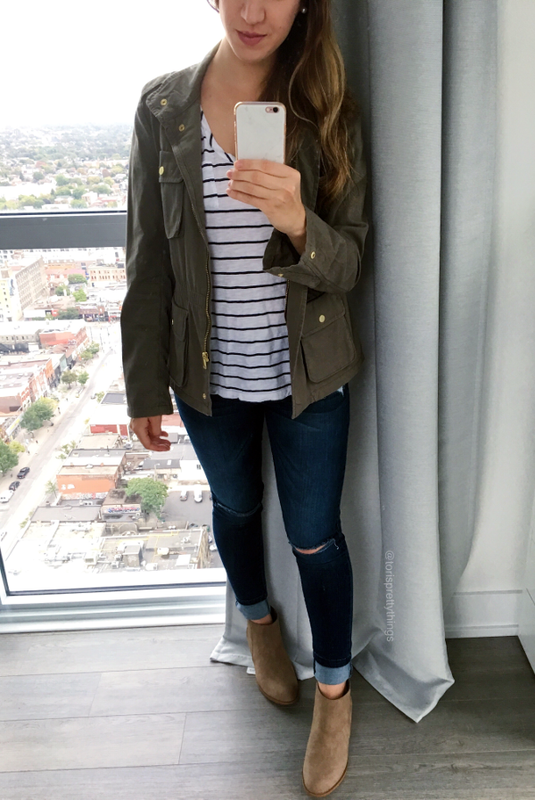 Fall fashion is all about those warm, cozy layers, and I loveee mixing and matching to figure out new comfy combinations. 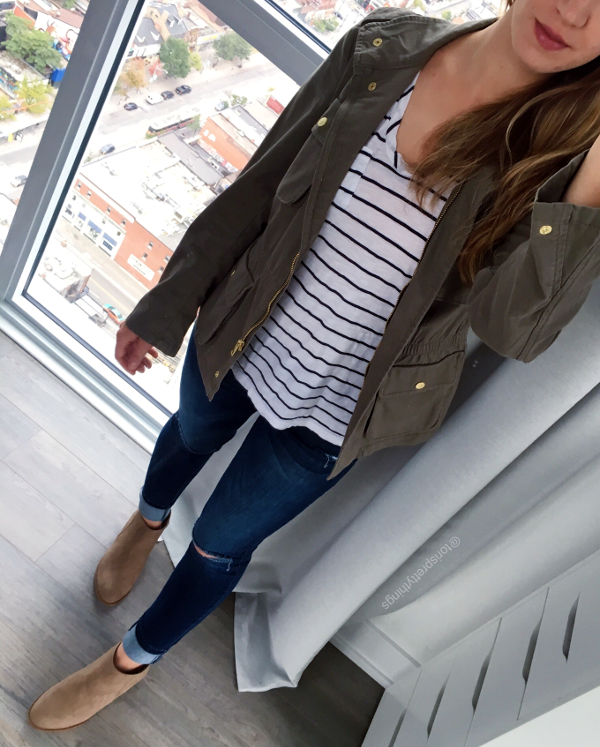 During this week, I popped on a utility jacket over a comfy, striped tee using this post by Brighton, of Brighton the Day, for my inspiration. One convenience of working from home? Ripped jeans are never against the dress code :). I'm also falling hard for those booties! I just joined JustFab and so far I'm impressed with how comfortable they are. 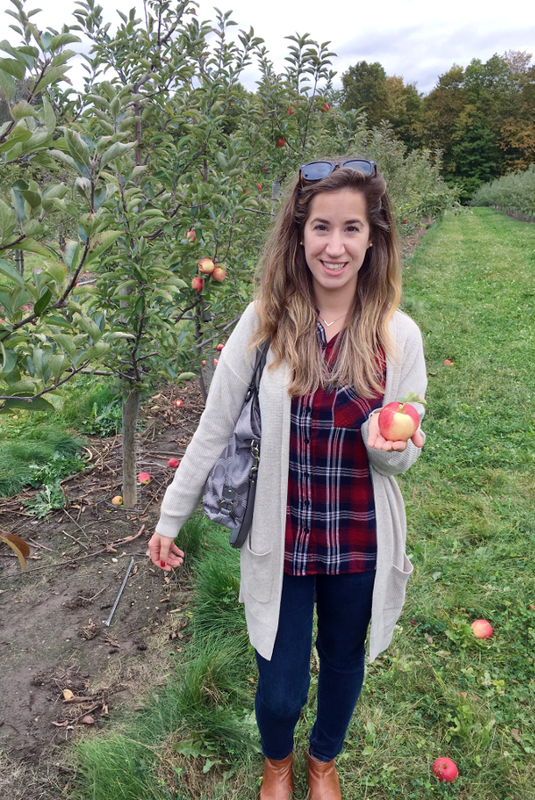 Over that weekend, B and I picked way more apples than we needed at Applewood Farm and Winery. This wasn't my original outfit, though. My original outfit is buried under all of those layers because it was SO chilly! But I came prepared and loved this layered up look even more than the blouse hiding beneath the plaid button down and cardi. Currently, I'm typing my little heart out in my Manhattan hotel room! Woot woot! I'm in good old NYC for a working visit but I flew in a little early to get some Jersey time in with family and friends. I love living in Toronto but, my goodness, do all of those home-sick feels come out when I get to see some of the people I love! I'm so thankful that we always pick up right where we left off - and that Thanksgiving and more time together is just around the corner :).